As noted by TechCrunch, Twitter Inc started to roll out an HTML5 version of Twitter.com redesign for the iPad, and it should be accessible to all users within a week or so. This new version will also make use of the iPad features such as touch gestures and other capabilities, as explained by Twitter representative Carolyn Penner. The iPad browser currently uses the normal version of Twitter.com as you would see when you visit Twitter.com on a full browser either on Windows or Mac. 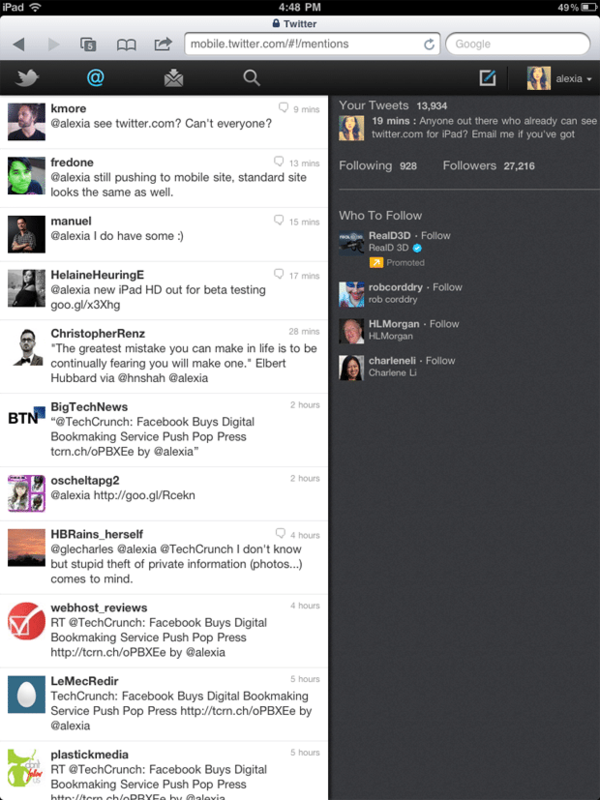 This update basically creates a web mobile version of Twitter.com for the iPad.